ENG: I’m officially ready to announce that the season of sweaters is opened: all my knitted goodies were successfully dragged out from dark corners of my closet. 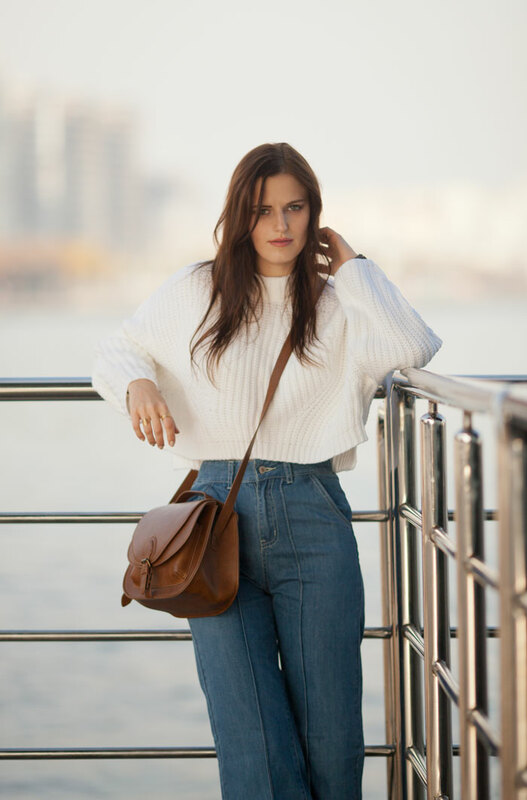 The first one is cropped jumper with long sleeves looks incredibly good with high-waisted pair of jeans, also you can add a shirt under sweater. I’m so sure that November and winter are the coziest time of the year, aren’t you agree? RU: Официально объявляю сезон свитеров открытым: все вязанные представители данной категории благополучно извлечены из темных закоулков шкафа и готовятся к выходу в свет. Первый укороченный свитер с широкими рукавами носим с джинсами с высокой талией, или под рубашку. Ноябрь и зимние месяцы – наверное, самоё уютное время года, не правда, ли? Love how cozy that sweater looks! nice look, love the sweater and the boots! Фантастические фото!Выглядишь потрясающе! Свитер и джинсы понравились!Удачного дня! Целую! Your cropped sweater is so chic and you look so edgy in this look plus I love white! I absolutely love this look! So classy and I adore the cut and style. This blog is leading latest fashion, women can learn here about fashion. There is more information for us thanks for sharing with us.